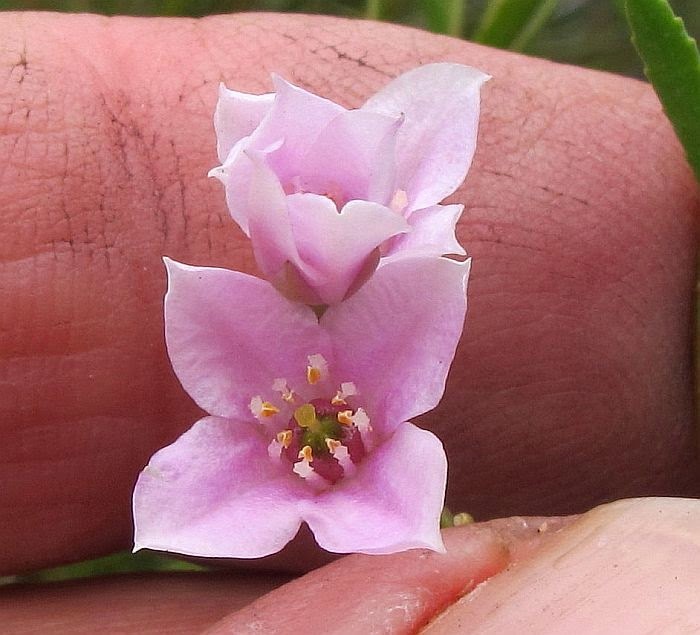 There are many Boronia spp. 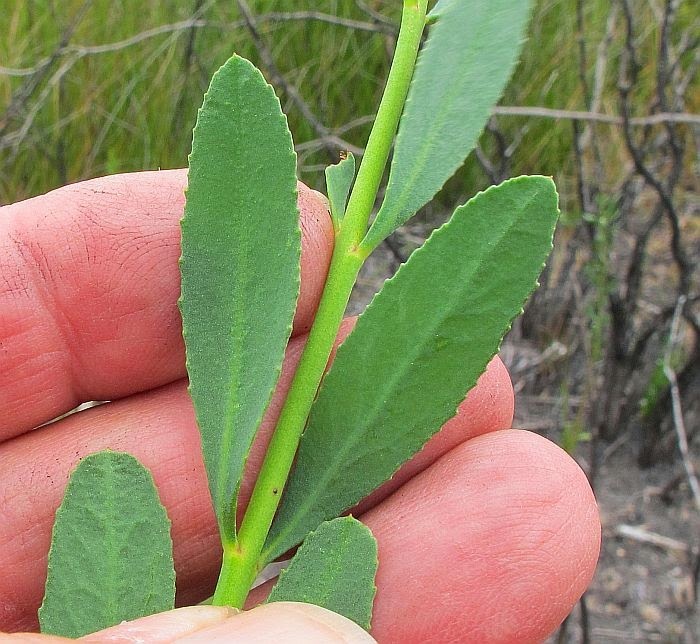 in WA growing in a variety of habitats, Boronia denticulata likes wet feet and is often found growing in water up to 20 cm (8”) deep. Locally it favours the outer parimeter of freshwater swamps, which fill in winter/spring and slowly drain during summer/autumn, which although evaporation would be an influencing factor, the slow seepage through the non-calcareous sandy/peat soil, over a clay substrate would be the main reason. 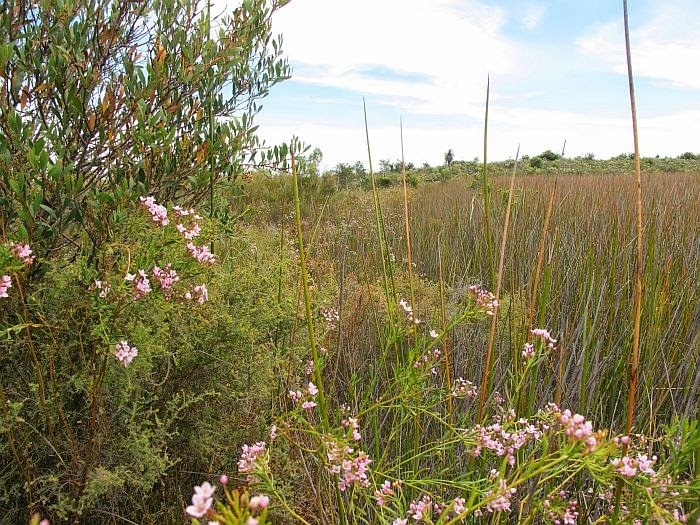 Other than a few large Melaleucas, the other vegetation in outer portions of these swamps are sedges to around a metre (3’) in height, which means the growth of this Boronia tends to be slender to 2 metres (6’-7’) in order to reach over them. 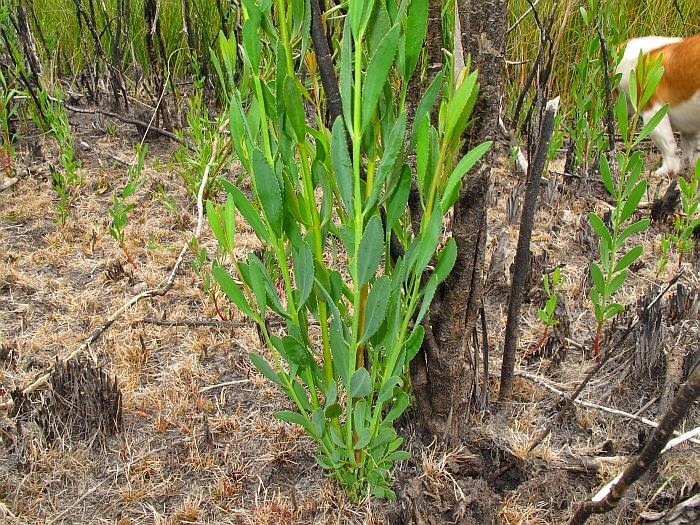 During bushfires all will be burnt in this sedge environment, especially when dried out in summer (although probably moisture remains below the surface), however Boronia denticulata will commonly sprout from its rootstock at the first sign of rain. 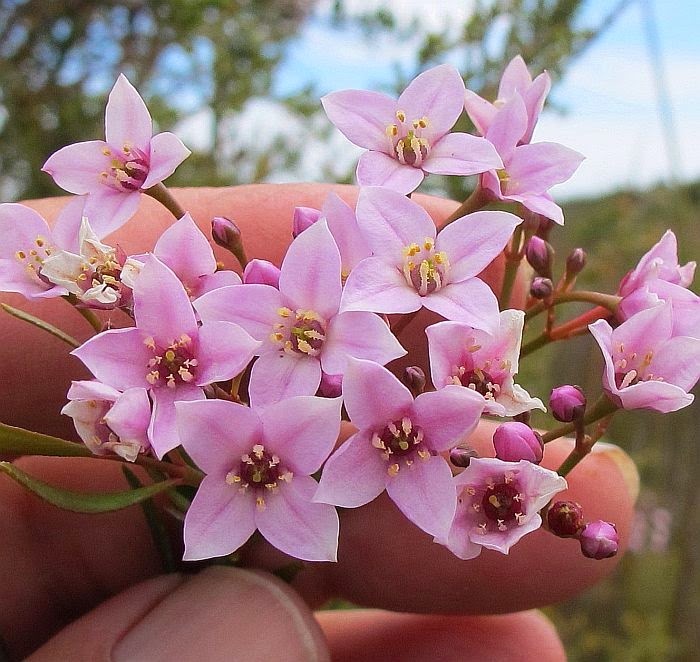 The attractive pink flowers are arranged in elongated terminal clusters but due to the weakness of their support, they tend to flop in an untidy manner, although this might not be typical of plants in more exposed environments. The flowers that are a little over a centimetre (1/2”) diameter are quite sturdy and will last for lengthy periods. 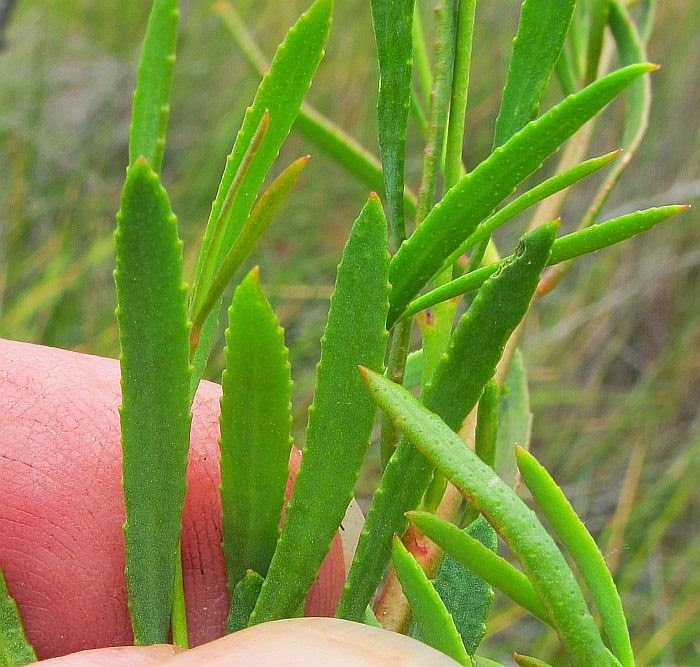 The foliage is quite variable over its range, although locally they are mostly finely toothed (dentate) and linear to oblanceolate to 3cm (11/4”) in length, with the younger plants having the broader leaves. 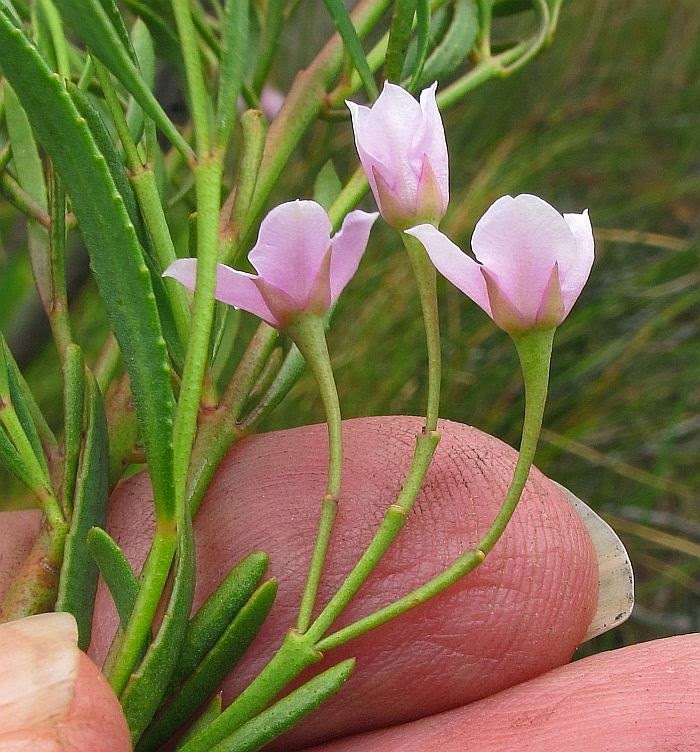 Depending on weather conditions, Boronia denticulata can usually be found in flower, particularly in years of above average rainfall and has been recorded from July to February. Distribution is scattered in near coastal areas containing suitable habitat, which is mainly around Albany, Bremer Bay and Esperance. 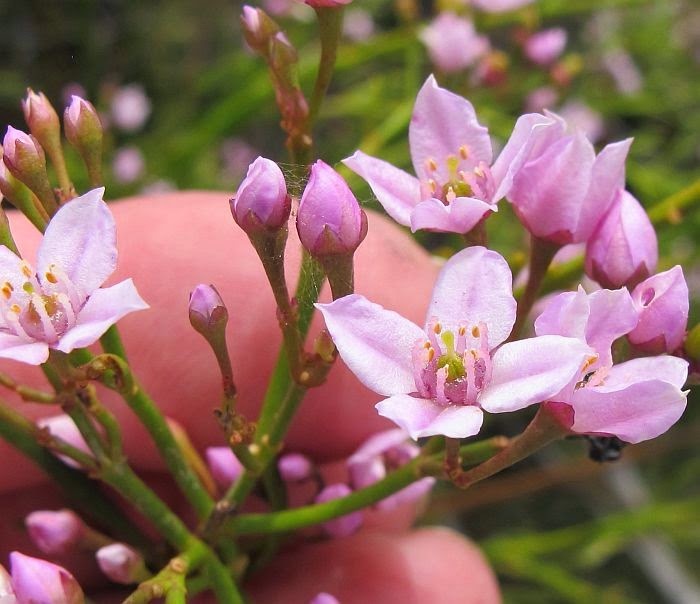 Boronia is part of the Rutaceae family, which contains many ornamental plants, plus the commercially important citrus species.